Hi all! In case you hadn't noticed, I work with buttons. 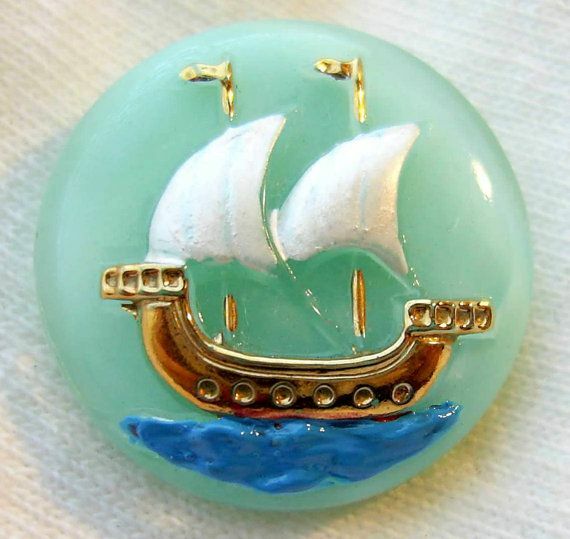 I find inspiration in military, nautical, and unique metal buttons. Growing up I collected any and all types (along with 2-liter plastic bottle caps that I swore I was going to make a blanket out of, weird I know but I had HUNDREDS!) Fast forward 20 years and Blue Blood Metal evolved. Because of inquires regarding the history of certain pieces, I came to realize I have never written about the humble buttons provenance. They weren't only used for utilitarian fastening. There is so much more to them. 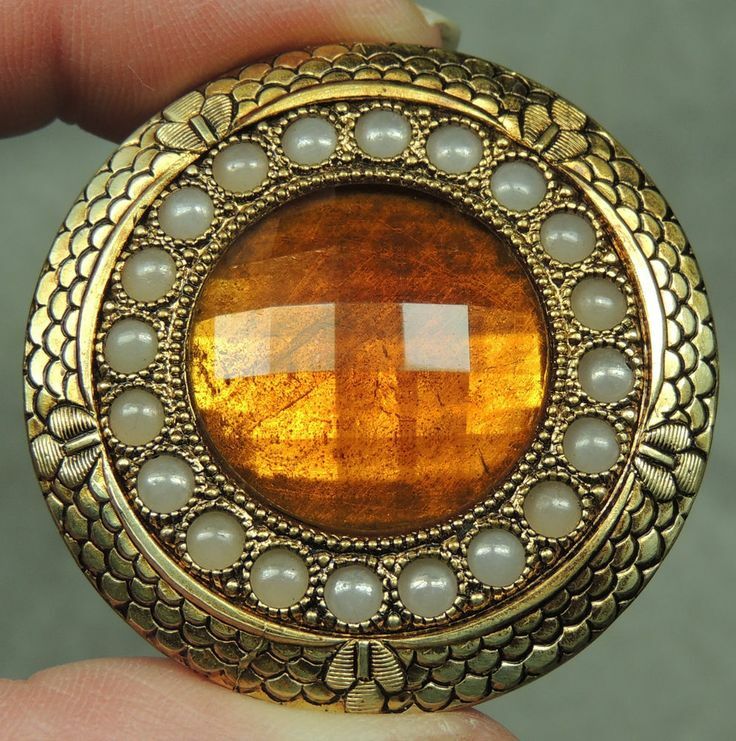 Buttons were originally ornamental, to exemplify wealth and stature. The first button is about 5,000 years old, found in what is now Pakistan. These are copper-alloy buttons dating from 900 BC to 43 A.D. Fancy huh? These buttons would fit into a loop, as buttons holes were not invented until the 13th century. If you turn your button around to see what type of backing it has you can tell approximately how old it is. There are 1,000,000,000,000,000 names for button backs. From Pin Shanks to Key Shanks, Metal Bird Cage to Cat Gut. :) But basically, we say loops, shanks, rivets, sew throughs...okay, there's a ton of those basic terms too. See? There's quite a vocabulary when it comes to these little guys. The photo below shows what I believe is an inserted, self-shank, plastic shank, floppy shank (pre-1918), string (possibly 1800's). They might have various names to those I listed. To elaborate on Mr. Buttons timeline, prior to 5,000 years ago man used sticks and bones to fit fabric on their bodies. It's believed that by 1200 he made his way to Europe via Crusaders. 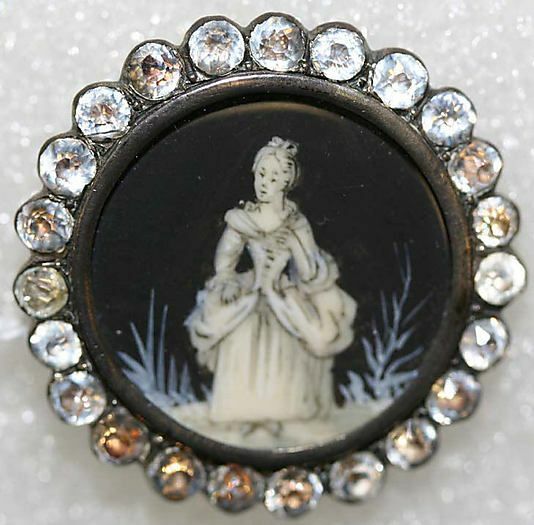 The wealthy adorned these buttons (they showed status ranking) as clothing was beginning to accentuate the body more. Mr. Button helped with this fit and was less dangerous than pins. My favorite part of the button, along side the back for age, is the material. Glass on metal buttons always catch my eye. I think it's the contrast and the detail the glass can bring. Here are a few images I found on ebay, button country and met museum. Metal buttons are a favorite too and what I mostly work with. I enjoy finding military and nautical themed buttons but any uniquely detailed button will do! Here's a few I wouldn't mind getting ON my fingers. 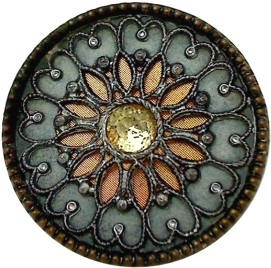 Keep in mind, metal buttons also come in a variety of different mediums. (Pewter, brass, silver, gold, iron.) The buttons material is defined at what material is at its base or shank. 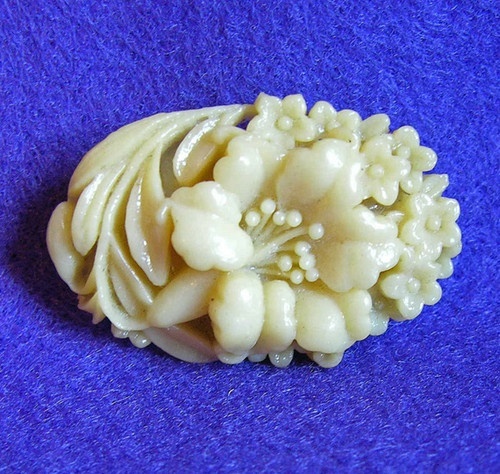 In addition to metal and glass buttons there are ceramic, plastic and natural buttons. Within those categories there are numerous sub categories such as celluloid, lucite, mother of pearl, wood, etc. etc. 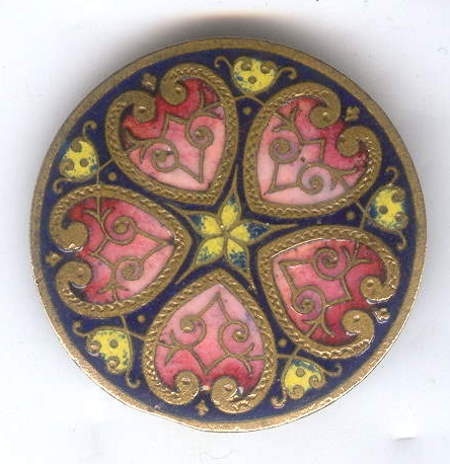 Here are few made of painted glass, vegetable ivory and enamel work. The French noticed a market for button making in 1250 and established The Button Makers Guild. The word button is derived from the French word bouton for bud or bouter to push. By the 1300's this was a huge industry and France was the button capital of the world. Around the late 1700's they began manufacturing buttons for revolutionary war uniforms. America began producing buttons made of brass in the 1800's. So by the 1900's button manufacturing was worldwide and mass produced, as we know of them today. I sometimes feel silly when I tell people I use buttons for jewelry. It's a cute word and not often thought of as ornamental. But they are intricate and have a colorful history. From showing ones prominence to showing one was a freed slave, buttons are an indicator of our past. When I use a button to make jewelry I often wonder who once wore it? It's a nostalgic feeling that helps me enjoy what I do even more! XOXOXO!